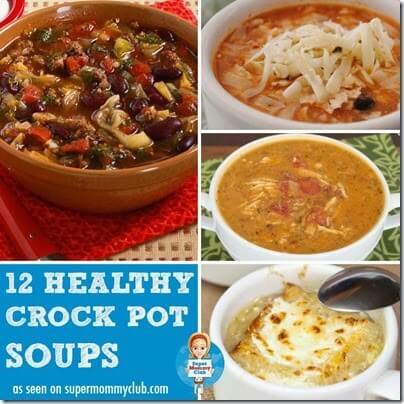 For all of us who enjoy making yummy, healthy meals with the convenience of a toss in crockpot, here is a list of 12 yummy crockpot soups your family will love. My crockpot is my best friend in making healthy dinners for my family. It helps me to make dinner while I am still organized and fresh in my day, before the business sets in. We use this crockpot which is super easy to use with lots of options.